A couple people recently have asked me why their exported movies are blank or don't react to audio properly. The most common cause of this is not assigning the audio inputs. 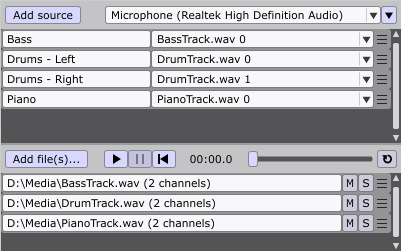 Notice how each of the inputs (Drums - Left, Drums - Right, Guitar, Bass) is assigned to a corresponding audio file (Drums.wav, Guitar.wav, Bass.wav). 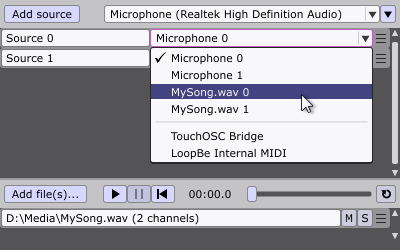 When you import an audio file, it doesn't automatically get assigned to an existing input. The reason for this is to not override any settings that you previously configured. Feel free to post if you have any questions.